Have you looked at the class schedule recently? We’ve added a whole slew of new classes for you to choose from! Looking into the distant future (September!) 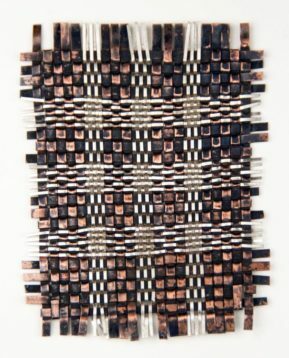 you’ll see Jeanie Pratt is coming to town to teach us about Designs in Woven Metal. It’s a ways off but perfect for those of you who really need to plan ahead. Jeanie Pratt works as studio artist on the Central Coast of California. 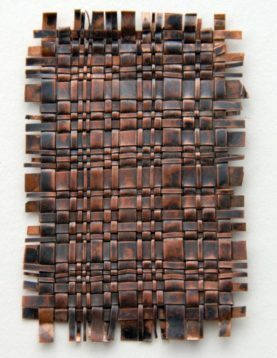 She has been a fiber artist since learning to weave in the San Francisco Bay Area in the early 1970’s and more recently has exchanged wire for yarn as the “fiber” of choice. Her metals education can be described as self-directed as she has sought out workshops and classes with a number of distinguished instructors. She has exhibited nationally in galleries, museums and shows. 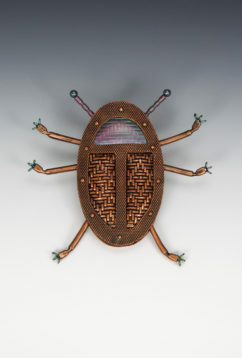 She currently shows at Mobilia Gallery in Cambridge, MA.